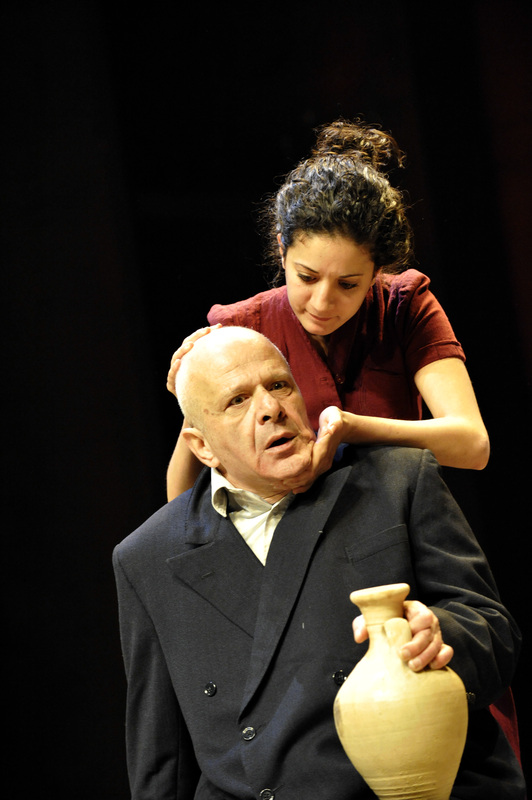 Amir Nizar Zuabi has been credited for his role in bringing Palestinian theatre to the attention of the international scene with his hard-hitting and thought-provoking productions. However his primary aim is to tell the stories of the Palestinian people. His most recent play, I am Yusuf And This Is My Brother played to packed audiences at the Young Vic, one of London’s most prestigious theatre venues. A compelling play about dislocation and dispossession, it tells the story of Yusuf and his younger brother Ali. Yusuf is the eldest of the two but is eccentric and has a child-like point of view on life. While Ali is in love with Nada whose father refuses to allow them get married because his brother Yusuf is ‘odd.’ While at the heart of this play is the love between two individuals, the bigger picture tells the more painful story of the people of Palestine and the devastating effects the loss of their land had on them in 1948 and is still having on them. Zuabi was raised in Nazareth, in the Galilee, where there is a huge population of Palestinians living within Israel. He says the aftermath of the 1948 partition is still vivid when you take a look around, and is one of the factors which provoked the thoughts that led to his new play. “What triggered it, really was me becoming a father but this period of our history, Palestine, is all around us. The 1948 war was the beginning of the current situation. In a way maybe it’s me becoming a father and a lot of other things but I felt I needed to understand and gain a better understanding, and started reading about it and wanted to do something with it,” he says. Zuabi, who was named one of the most influential Palestinians by Arabian Business in 2009, runs his own theatre company, Shiberhur, which translates as ‘An Inch of Freedom,’ and is based in Haifa. The aim of the company is to produce theatre work that crosses the boundaries of cultures, language, geography and politics. 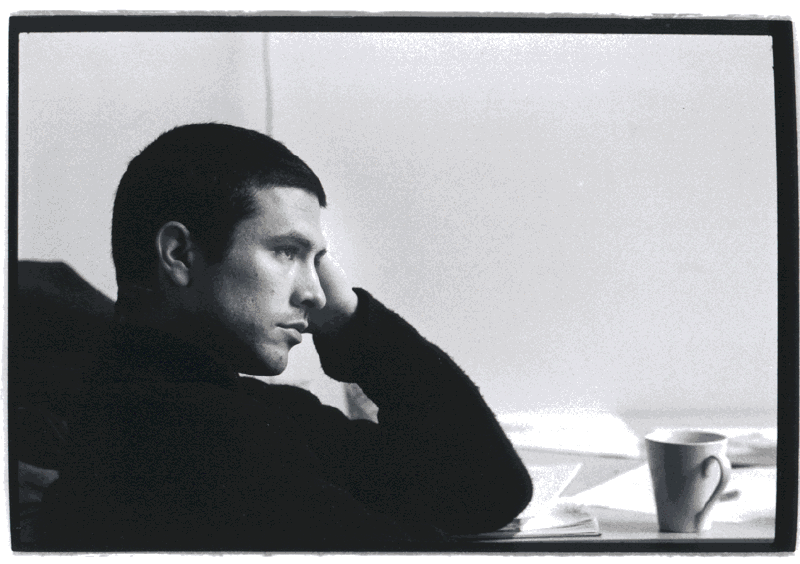 Zuabi trained as an actor in an Isreali arts school before he changed direction and became a theatre director. He has directed major productions at El Kakawati, the Palestinian National Theatre and Al-Kasabah in Ramallah, with an international fellowship at the Young Vic theatre where he directed the critically acclaimed Alive From Palestine. His dramatisation of Jidarriya, an epic poem by Palestinian poet, Mahmoud Darwish took him on an international tour of Edinburgh International festival, Bouffes du Nord in Paris and other countries. You would be right to assume Zuabi comes from a lineage of theatre directors but he comes from a cultural background rich in poetry and not theatre. However, he says he is influenced and admires a lot of people in the theatre world dating as far back as Shakespeare. “That is part of the beauty of theatre; it is a communal art form and a collaborative one. So, I’m not picking them one at a time. “Theatre for me is what I do and who I’m and of course I bring to it all of my cultural background and traditions, and it is manifested in the kind of theatre I do. I come from a rich poetical background. So, that’s also eminent in the work that I do and try to create and the language has a huge influence. Arabic is such a poetic language and a rich one and I think Arabic is one of the biggest influences, Arabic as in the culture, in all of my theatre work,” says Zuabi. A painful story of migration, Zuabi brings a new perspective which none- Palestinians and those outside Palestine may not understand. The fact that many Palestinians find it painful to talk about leaving their land and some consider it a forbidden subject banished to memory but not discussion. “I come from the Palestinian minority, who live inside Israel, but the majority of my people were displaced and being a refugee is a very strong and harsh status you are captured in. it is a prison without a prison. You live your life in a sense of longing for the place you came from or where your family come from. “And talking about the fact that we were thrown out of the land is a bit of a taboo in the place where I come from. People don’t talk about it. The Palestinians don’t really want to talk about this because it is a constant reminder of our defeat and Israelis don’t want to talk about it because it is their primal sin. Among my actors, half of them are descendants of refugees. This is such a common thing in Palestine because of the war, the country has been torn apart and people started wondering from village to village, area to area or from refugee camp to refugee camp. So, the sense of constant movement is inherent to us,” he explains. With that, you would expect his aim is to tell the world how wrong the other side is for what they have done to his people. But Zuabi maintains his job is not to point fingers, start a propaganda or get political. He only wants to tell his story. “I’m not out to blame anyone or throw a political agenda. I’m out there to tell my story, my honest story which is not against anyone. It is not pro anyone. It is pro-me and the base of why I do theatre. “I do a lot of political theatre. I’m not ashamed of doing political theatre. The fact is that people regard political theatre as a propaganda tool and I hope I’m not doing propaganda. I’m talking about people, real people, complicated, troubled and beautiful, and it could be very political. If you ask me, Shakespeare is political but not in the shallow sense of preaching or persuading you to think in one way. I’m asking questions not giving answers. I hope that is the theatre I’m making,” he asserts. 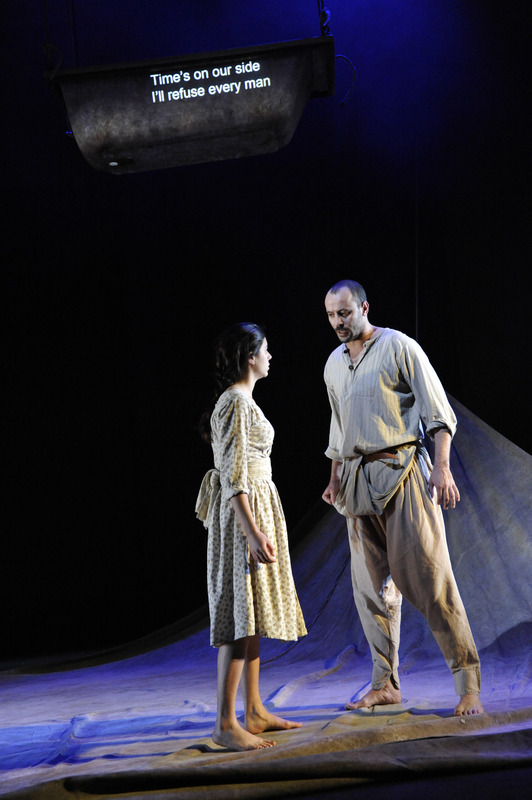 The play which has toured Palestinian towns, villages and refugee camps in Galilee and the West Bank has elicited responses which Zuabi says has been very personal. ““The reactions were warm and painful at the same time because you find yourself telling people their own stories and for us as a theatre company, that was very moving. We had a whole array of reactions from people who experienced the pain of what we are talking about. We have had a good reaction because it is very honest, that honesty touches people. “I hope that’s the reason why these reactions are coming. And of course, it is partly because we are telling a story that a lot of them know very well but not a lot of them necessarily are allowed or allow themselves to speak about it in a common place, and because we are talking about it, out in the open and in the community; they are talking about it among themselves in an honest and open way, it has a sense of vindication and liberation.” He believes this is the reason people have responded the way they have and hopes, the UK audience sees that also. This entry was posted on Tuesday, June 22nd, 2010 at 1:13 am	and is filed under Features, Interviews, Journalism, People, Theatre Interviews. You can follow any responses to this entry through the RSS 2.0 feed. You can leave a response, or trackback from your own site.